It is human nature to notice things that interest you. In the world of advertising this is called a hot button. You would not even raise an eyebrow to a radio ad about eye glasses unless you were in the market for a pair. You don’t notice that blue F-150 until you drive your shiny new truck off the lot and discover there are hundreds of shiny blue Fords just like yours. In terms of catfishing and the people who enjoy it, has the number of people who participate actually increased? Is this new over the past few years or are the hot buttons for us who enjoy catfishing just lighting up in the age of social media? As a professional catfish angler, I absolutely have a hot button for catfishing and certainly have a lot of friends on Facebook with a similar passion. Catfishing is what I do, so for obvious reasons I pay attention to the people who enjoy it. I watch the websites and social media that promote it and of course the companies who are part of it. It is not just what I do, but it is also my recreation and my passion. As an observer, I would say ‘YES’ catfishing is growing in the United States, but is it? When I travel around and talk to people I get the feeling that more and more passion is being brought to the pursuit and the fish. When I look at talk forums I often see the post, “I am new to catfishing and was wondering about…” I also see, “I just started two or three years ago.” It is clear that new people are coming into the sport just as people are quitting or passing along from the sport. So is catfishing actually growing? To find the answer to this question I contacted some of the players in the world of catfishing to get their opinions on the issue. Part of this is to feed the human desire to compete, and the other part is to fish the best trophy catfish waters America has to offer. It is the desire to catch a big fish or just see them that is a natural draw to catfish for people. Jamison says he notices this in tournament participation and in the crowds that show up to the weigh-ins to see big fish and ask questions. This observation is not Jamison’s alone. Matthew Davis, owner of Whisker Seeker Tackle and an Iowa tournament angler has noticed similar tournament trends. Davis adds that in his part of the country he’s seen a big shift over the past few years among “former” bass and walleye anglers now participating in catfish tournaments. 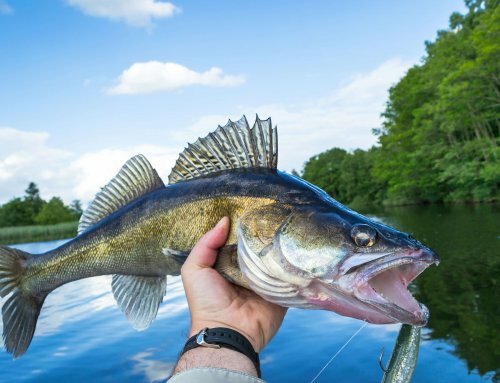 Davis states that he’s noticed the stigma of catfishing is easing up, and that bass and walleye anglers are entering cat events to see what the hype is about. All of a sudden catfishing is cool. He attributes this shift to companies catering to catfishing. With new catfish boats coming on the market and new tackle and gear options for catfish anglers, these new participants suddenly feel at home in their new sport, as ex bass and walleye anglers accustomed to pretty boats and mountains of tackle to choose from. Yet with all of the discussion of the impending explosion in numbers of catfish anglers and the booming opportunity facing manufacturers, there is another opinion to consider. Outdoor writer and catfish expert Keith Sutton stands strong that catfishing is not growing in terms of number of anglers. He contends that we are just becoming more visible to the general public. Sutton was quick to point out that over the years some of the catfishing subjects he’s written about garnered little interest or attention. Now, however, he gets requests for those type of articles all the time. 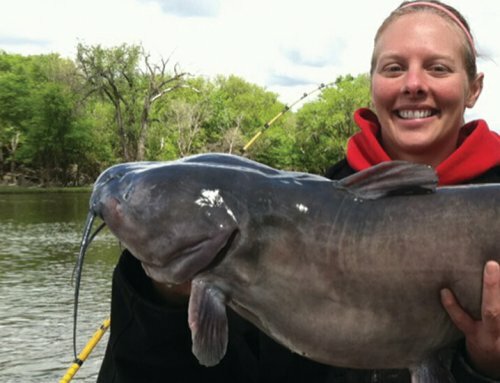 TV shows like River Monsters and Hillbilly Hand Fishing have fueled the fire for big catfish and made it cool. It is hard to refute the hard numbers Sutton refers to. But with that said, 2012, 2013, and 2014 have been amazing years to be part of the catfish world. It is eye opening to witness the enthusiasm and activity surrounding catfishing over the past three years. Rippin Lips front man Jamison says, “You know catfishing is getting more popular when 10 years ago it was common (especially during winter) to fish alone on the Missouri River, but now it is almost crowded with boats year around. He goes on to say that as a seminar speaker he is getting more questions that are very specific to the topic of trophy catfish. 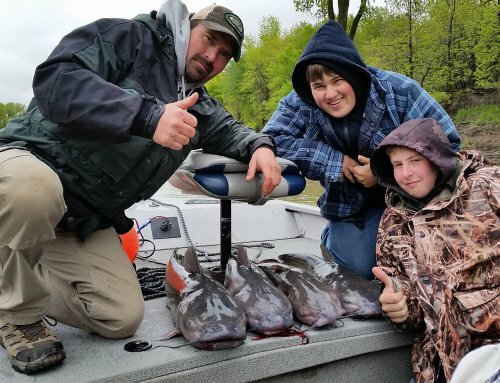 Those questions stem from the willingness of modern catfish anglers to learn and incorporate advanced tactics and technology into their fishing. Modern electronics are a huge part of this growth. Catfish angers are getting “more savvy” with their electronics and how they are using them. This stems back to Matthew Davis’s comments on the bass and walleye guys just moving over and feeling at home with this modern technology. There is one thing everyone can agree on: catfishing is growing in public popularity. 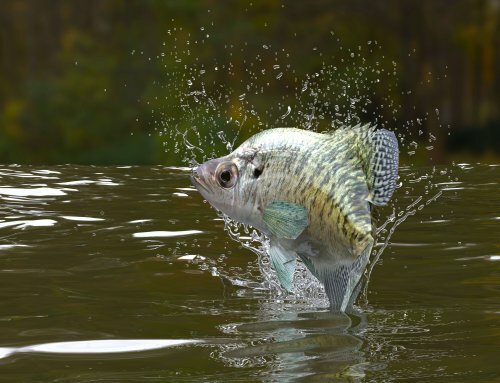 The sport is growing as a popular mainstream species, and its participants are willing to learn, spend money and catch big fish. Any way you look at it catfishing has arrived. Considering where the markets are going and the fact that the last survey was done in 2011, it appears catfishing is indeed making headway and exploding. 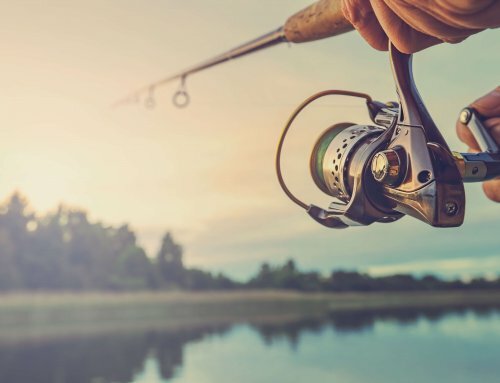 Tackle companies, tournament growth and media are indicating what seems to be a revolution. We truly won’t know if it is just a hot button issue that we notice or a real explosion until the next survey is completed, presumably in 2016. Either way we are here to stay and let’s make the most of it. Captain Brad Durick is a nationally recognized catfish guide, seminar speaker, and author of the book Cracking the Channel Catfish Code.